Stay up-to-date on the latest job and service opportunities in the Vermont Mentoring Community. Organizations with open positions are listed below. Click the organization to see which positions they are hiring for. The primary role of the Activity & Programs Crew is to be a part of our Operations Team that provides the groundwork for the successful operation of Camp DREAM in the areas of program facilitation, property maintenance and development, and kitchen support. Ops Team are the “back of the house” staff members whose responsibilities allow counselors to focus directly on camper supervision and safety. The Camp Chef spearheads the Camp DREAM food program, including planning menus in accordance with Vermont Summer Food Program guidelines, food shopping, and preparing and serving meals for 20-40 people each week. As a team member, the Camp Chef may be asked to occasionally share a wide range of duties with full-time staff and other AmeriCorps members, including programming, supervision, physical maintenance, meal preparation, general camp operations, and more. The focus of the Communications Coordinator is capacity-building. 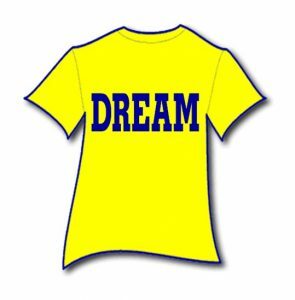 The member will develop an external communications plan for DREAM, including traditional and new media. The plan will include content and a timeline for delivery. The Member will build storylines, develop DREAM’s “voice,” collect tales of impact, and take photos and video. The primary role of the Counselors is to provide direct support and supervision to campers. Counselors will be paired with at least one other staff person in a cabin with approximately 8 campers and 2 teenage Counselors-in-Training (CITs). Counselors are the “front of the house,” hands-on staff members who have the most direct interaction with and responsibility for the care and well-being of campers. The primary role of the Operations Team is to provide the groundwork for the successful operation of Camp DREAM in the areas of program facilitation, property maintenance and development, and kitchen support. Ops Team are the “back of the house” staff members whose responsibilities allow counselors to focus directly on camper supervision and safety. Building close, positive, supportive relationships with the community of mentors, mentees, parents and partners that are assigned. Applying the Elements of Effective Practice in Mentoring to the communities for which they are responsible. Through these two responsibilities, members will support or develop strong programs and strong communities to surround those programs. Programs include school year mentoring, summer enrichment and adventure activities. Term Type/Length: Minimum Time, minimum of 1700 hours (35-40 hours/week for a calendar year). The primary role of the Camp Support Crew is to be a part of our Operations Team that provides the groundwork for the successful operation of Camp DREAM in the areas of program facilitation, property maintenance and development, and kitchen support. Ops Team are the “back of the house” staff members whose responsibilities allow counselors to focus directly on camper supervision and safety. The focus of the DREAM AmeriCorps Evaluations Coordinator is capacity-building. The member will facilitate the collection of data from DREAM youth and parents through community outreach and engagement. The member will assist in carrying out DREAM’s evaluation plan, which includes analyzing survey data, report-writing, and planning for a quasi-experimental evaluation. The service of the member will help measure DREAM’s impact on the social, academic, health, and experiential outcomes of our Vermont youth. The member will also help create curricula that addresses pockets of need, both on an individual and group level (e.g. community tutoring program, youth-specific math help, parent workshops to assist New American families, systems to track youth participation in extra-curricular activities and school attendance). The primary role of the Lifeguard is to be a part of our Operations Team that provides the groundwork for the successful operation of Camp DREAM in the areas of program facilitation, property maintenance and development, and kitchen support. Ops Team are the “back of the house” staff members whose responsibilities allow counselors to focus directly on camper supervision and safety. The Program Director is responsible for overseeing the overall health and stability of DREAM’s Local Programs in the southern region of Vermont, which includes leading, supporting and supervising a site specific program team (consisting of AmeriCorps members). The Program Director will grow our AmeriCorps team in Bennington, offer more sustainable connections to partners, strengthen relationships with families, and lead a multi-year expansion effort to reach more children. Local Programs include volunteer mentors, mentees and families and representatives from our partner communities and colleges. Additional programs for which the position is responsible include Summer Community Programs, Camp DREAM, High Adventures, mentor and volunteer development programs and other programs specific to the region. This position works closely with the Chief Operations Officer and other Program Directors. The primary role of the Trail Crew is to be a part of our Operations Team that provides the groundwork for the successful operation of Camp DREAM in the areas of program facilitation, property maintenance and development, and kitchen support. Ops Team are the “back of the house” staff members whose responsibilities allow counselors to focus directly on camper supervision and safety.